Fast-rising German photo-artist Patrik Budenz will be showcasing his latest pieces at his upcoming exhibition to be held at the Kathmandu Photo Gallery in Bangkok and entitled “15 minutes” from March 7 – April 26, with an exclusive grand opening party on Saturday March 7. 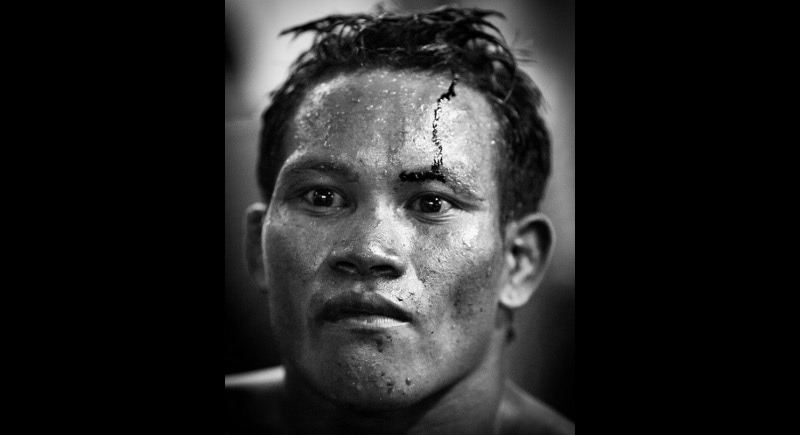 Patrik known for his shockingly intimate study of death, ‘Post Mortem’, now turns his probing, sensitive eye on pain: Muay Thai boxers in that brief, telling moment after descending from the ring. 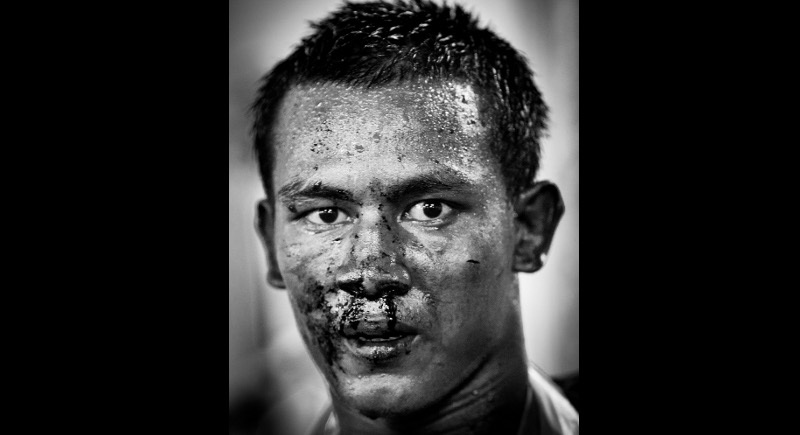 Budenz captures this moment in unstaged backstage portraits shot in several Bangkok stadiums. By capturing these portraits up close and in monochrome, eliminating all else, the series’ intense immediacy is emphasised. 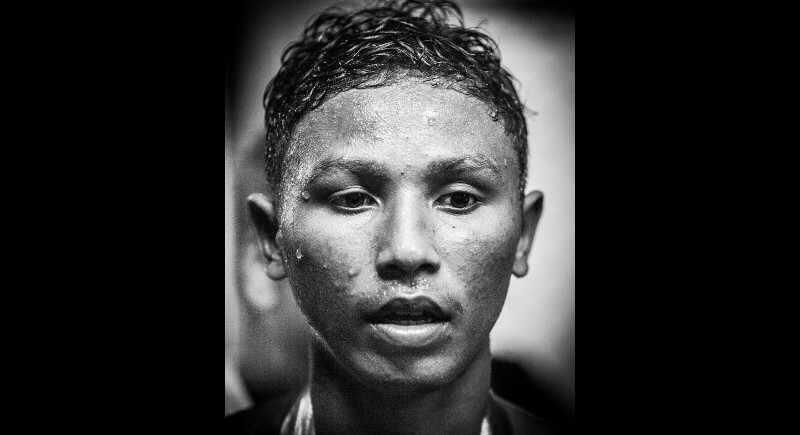 There’s nothing to see except what’s left after the fight. Patrik Budenz (born 1971) currently resides in Berlin, German. He graduated from the Neue Schule fur Fotografie Berlin (New School for Photography Berlin) in 2009, when his series ‘Post Mortem’ also won the New York Photo Award. In 2011 he was appointed a member of the Deutsche Fotografische Akademie. He has published two books: ‘Quaestiones medico-legales – Hinter den Kulissen der Rechtsmedizin’ (2011) and ‘Post Mortem’ (2013).